Alongside sister 5487 (HW07 CXY); as well as primarily acting as a spare vehicle for "Connections4" service 4 (serving as a replacement vehicle for Scania CN230UB/Scania Omnicity 5263 (NK56 KJY) in the fleet which had transferred to Percy Main at the start of September), this vehicle will also be allocated to newly-awarded Nexus Miscellaneous Works contracts operating from the depot. It has now entered service at Washington following completion of repaint, and should allow for sister 5487 (HW07 CXY) to be taken out of service for repaint and fitment of a vandal screen. 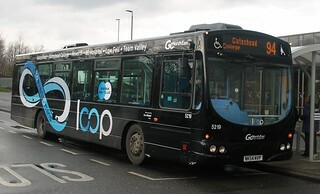 Prior to entering service, this vehicle has been repainted into Go North East's corporate livery. 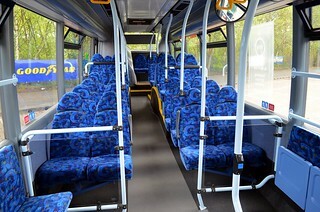 This example carries the tagline "Stay Connected | Many of our buses have free WiFi on board". New to Southern Vectis in June 2007 as fleet number 456, this vehicle was previously in the fleet of Bluestar as fleet number 2456. 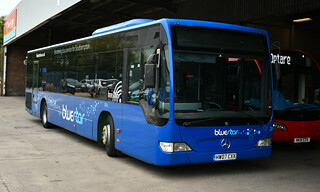 It was released from Bluestar in line with the upgrade of the "Unilink" services to brand new Dennis Trident 2/Alexander Enviro 400MMC vehicles, which has seen the re-allocation of the current "Unilink" vehicles to service 17 to allow the withdrawal of this batch of Mercedes Citaros. The entire batch have been acquired by Go North East, ahead of changes to Nexus Miscellaneous Works contracts, which has seen Go North East being awarded with over 70 contracts for the 2018/19 academic year. 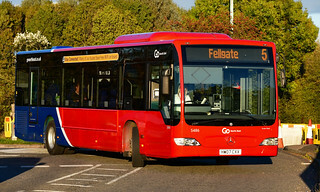 This example has been re-numbered to 5486 in Go North East's fleet.